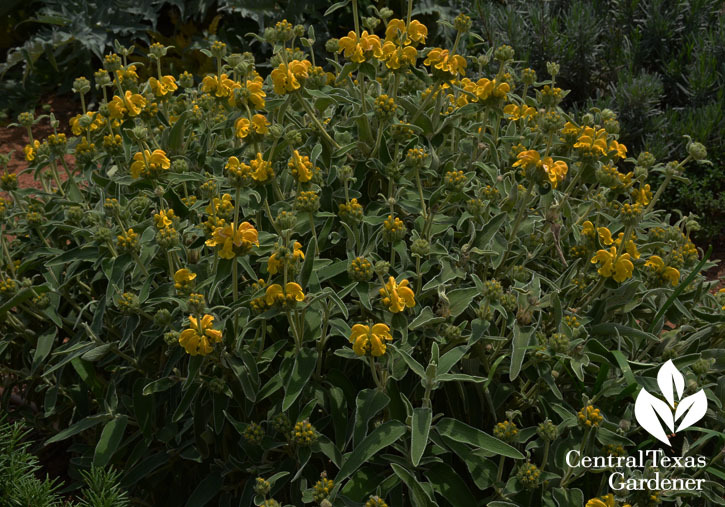 Jerusalem sage, like this one at Georgetown’s Monument Cafe, loves that the heat is on. Not so my Angelica pachycarpa. 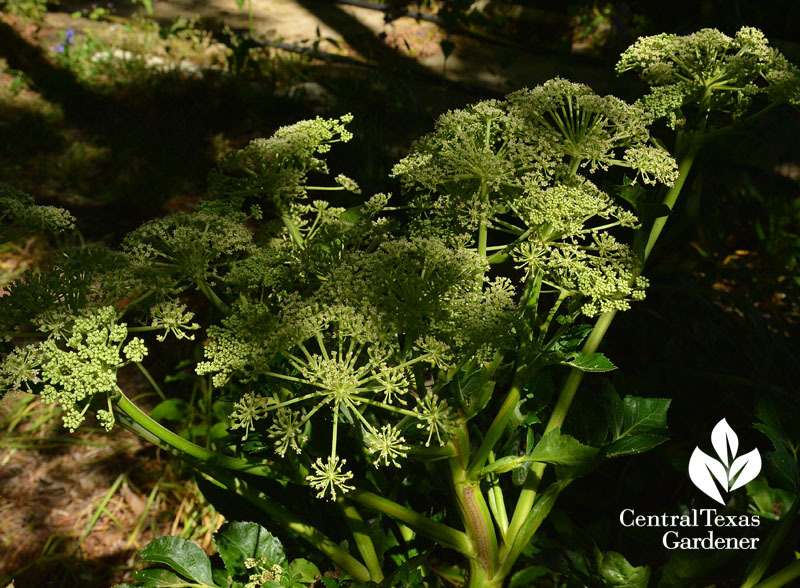 Its glossy foliage dominated a wide spot under a deciduous tree all winter. Soon, its leaves will ornament the compost pile. Already, Mexican honeysuckle and plumbago are eager to fill the blank. Hard freezes didn’t mar her a bit or interrupt the flowery farewell until next year. 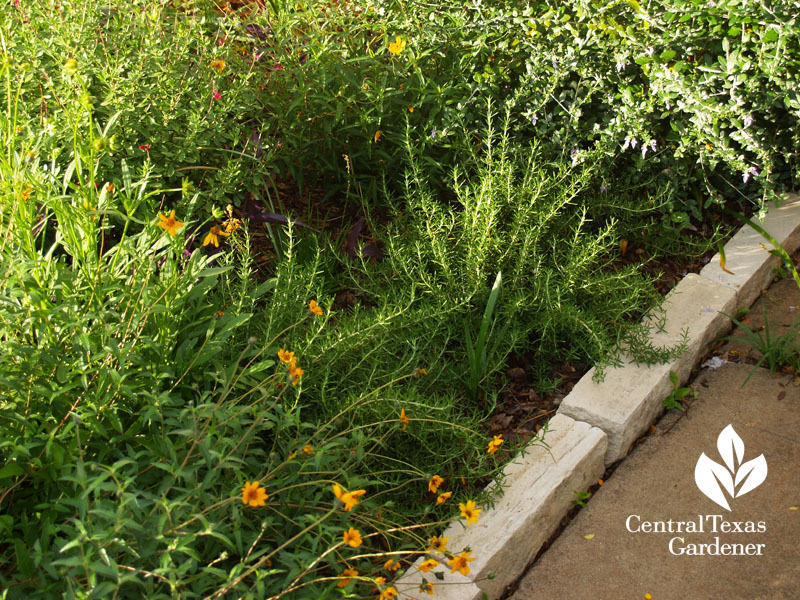 Perennial white Penstemon cobaea and yellow columbine will stick around for foliar fun after they scatter their seeds. 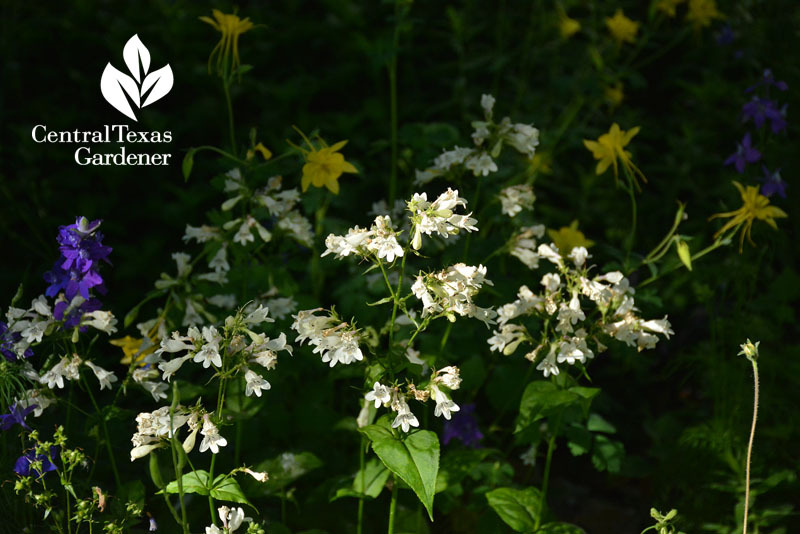 Annual larkspur will spit out the seeds and hope for the best. 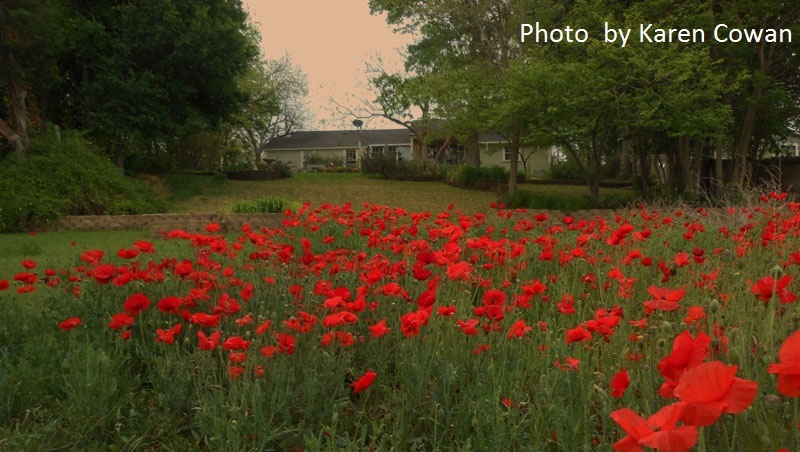 Poppies have moved from glamor into propagation (though I love the seed heads, too). For a last view until next spring, CTG’s Picture of the Week goes to Karen Cowan’s “Wizard of Oz” field. 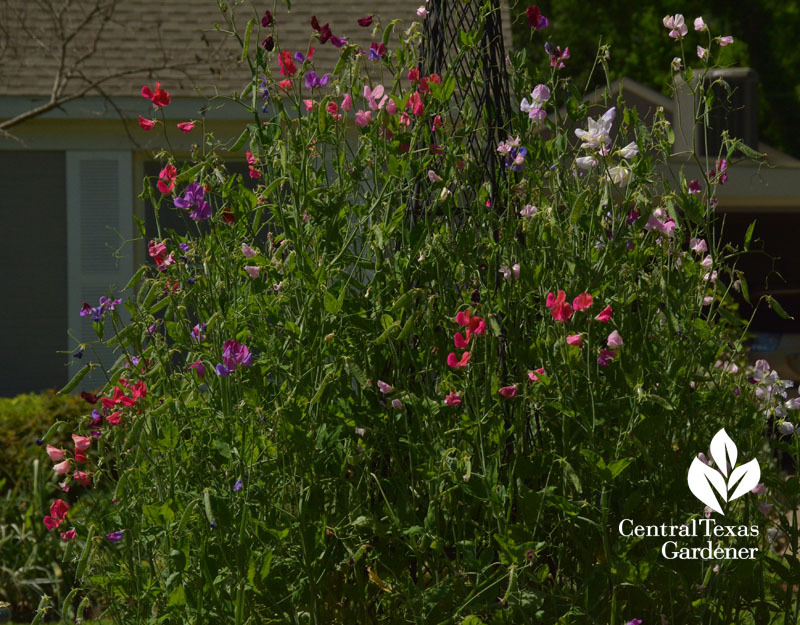 Soon, sweet peas on this gardener’s arbor are but a really sweet memory. Roses are headed for dead-heading. 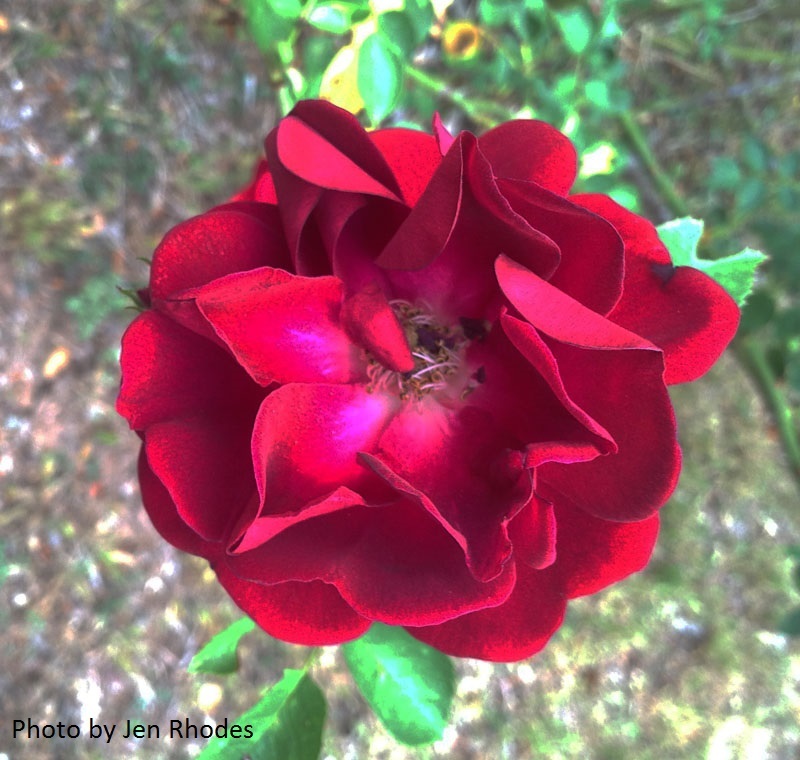 This year, Jen Rhodes has roses that are totally a different color and leaf than her original plants. What happened? Daphne explains how many roses are grafted onto another plant. 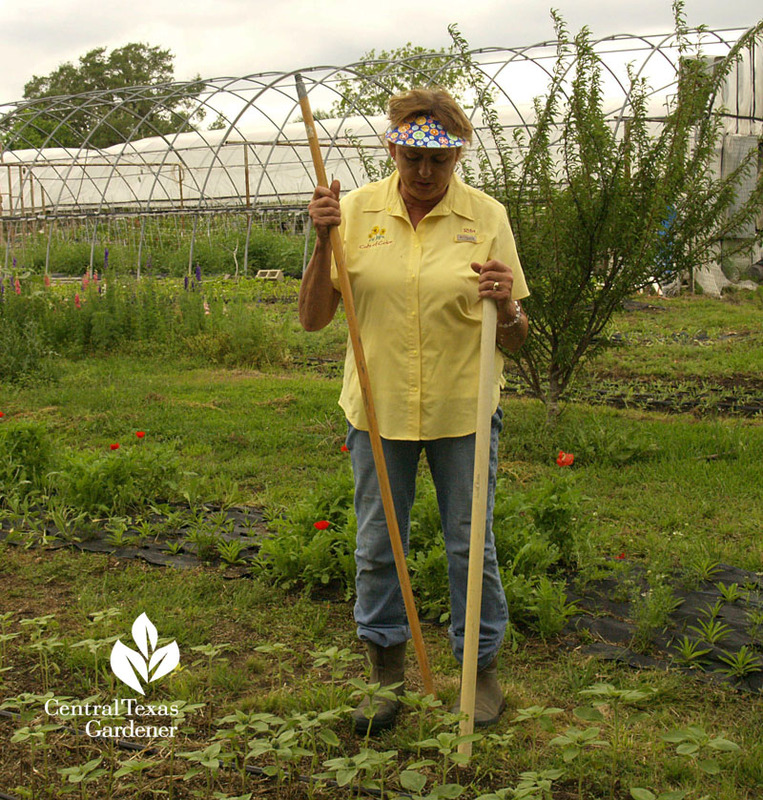 If a rose produces new canes from the roots, instead of the bud union above ground, you get the original plant. 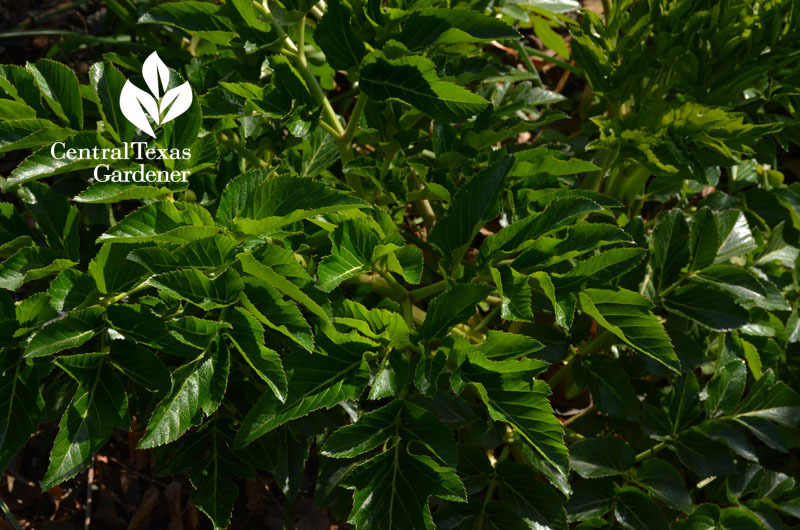 Climber Dr. Huey is one of the top root stocks. A few years ago, I dug out a problem rose, but didn’t get all the roots. Bingo, here it comes again; this time as Dr. Huey instead of its original yellow. 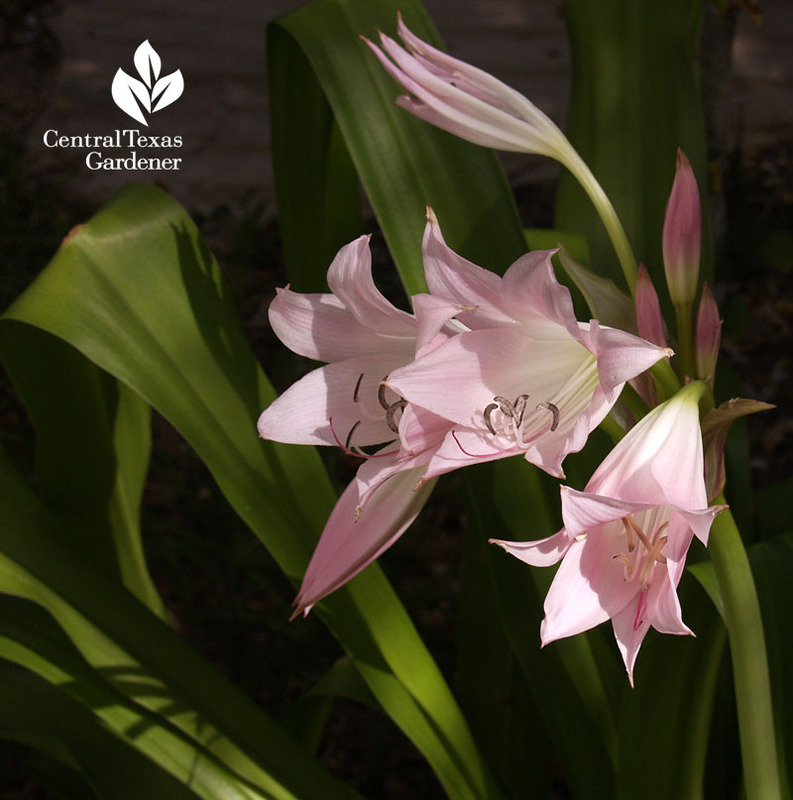 Summer-lover crinum lily is cranking up after its mushy disgust with winter. I find it’s easiest to shear off the mush with toothed scissors. 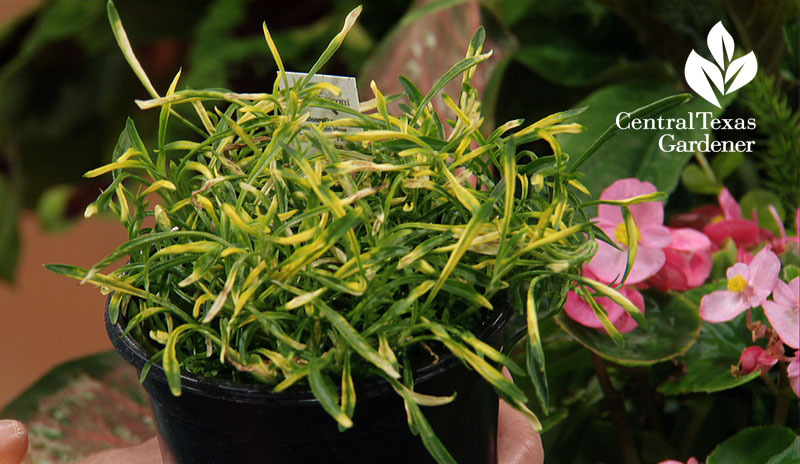 Daphne makes this heirloom her Plant of the Week. 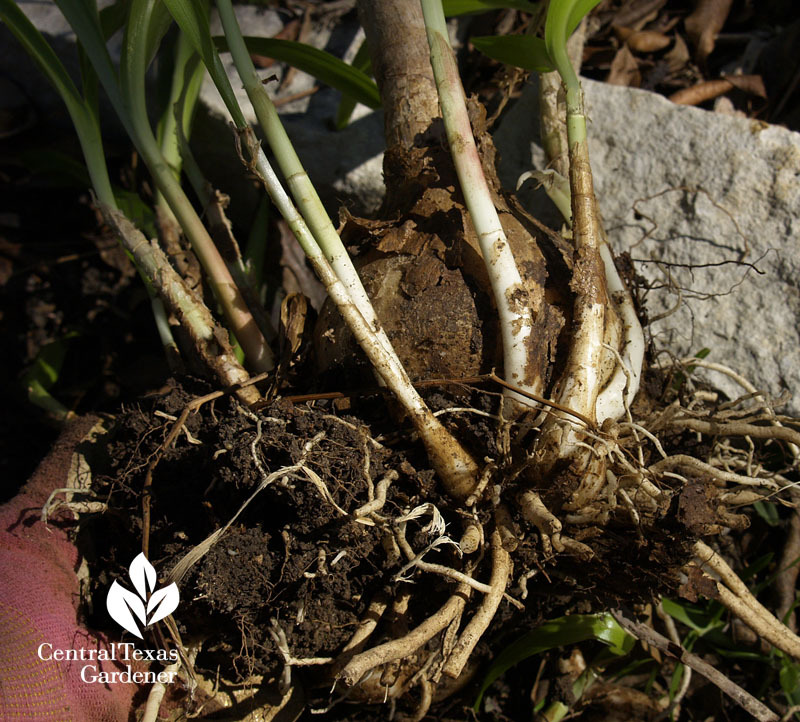 Even though it likes moist soil, mine perform just fine in drought. You can divide them, too. In fact, I just divided some for a semi-shady area near the patio that gets morning sun. It’ll be years before they bloom, but I like them for the floppy, glossy foliage as much as the flowers. Our friend Greg Grant never fertilizes them, but they do like sun. 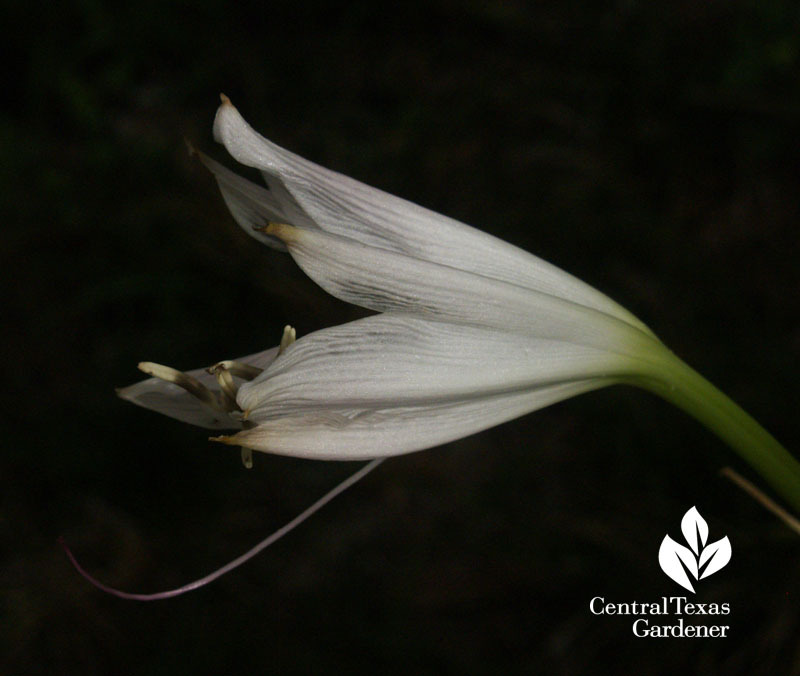 He notes that some, like JC Harvey, hardly bloom at all. Others bloom after each rain. 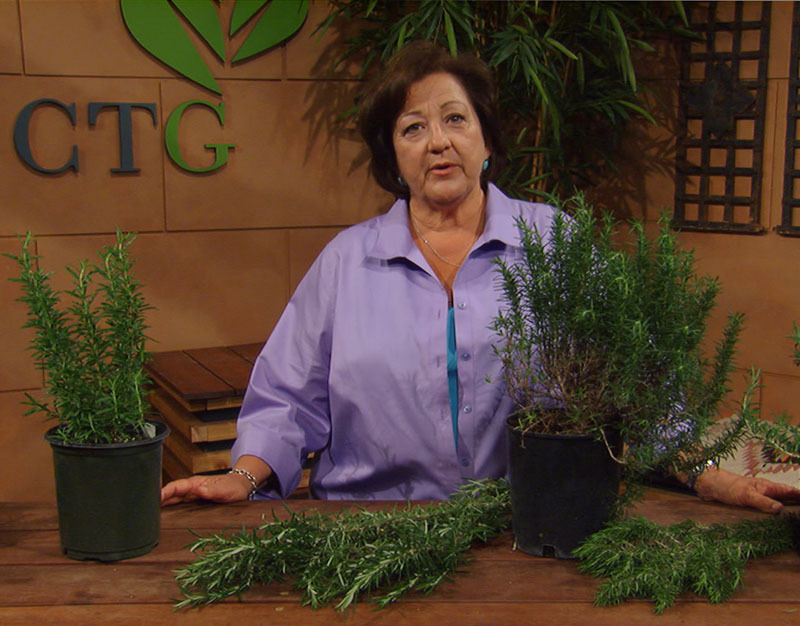 Rosemary is a super drought tough evergreen that hates too much water. 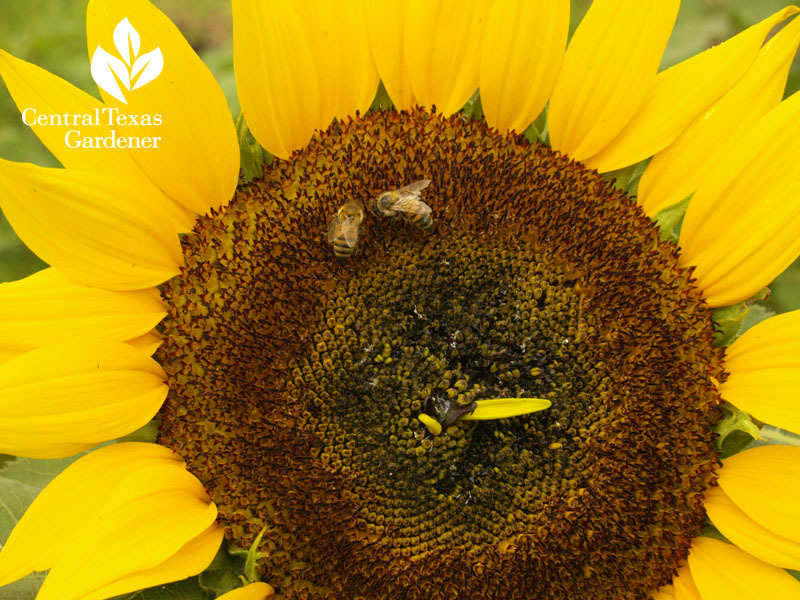 Along with its structural attraction, its bee-loving flowers are edible for us, along with the leaves. Trisha takes us on a tour of the many varieties. If growing in too much shade, she has luck by avoiding mulch. Create tall drama with ‘Gorizia’ that gets 5-6. 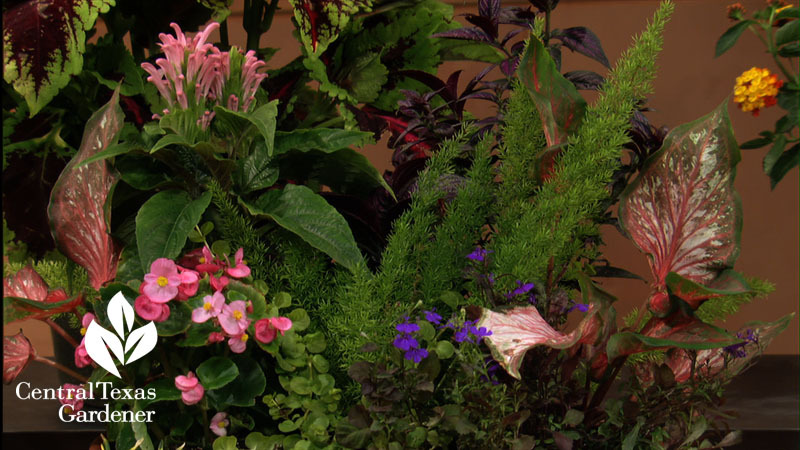 Tuck smaller ones like ‘Blue Lagoon’ into containers or small spots. ‘Huntington Carpet’ charms a border at just 12 – 15” ht. x 30” wide. I loved mine until the 2011 freeze took it out. But it’s worth another try. 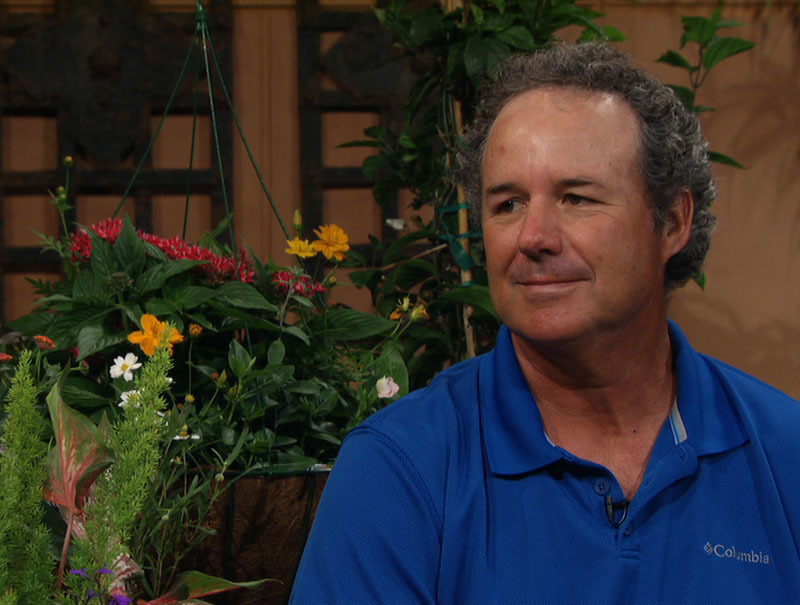 As we swing into summer, Marcus Young from Bloomers in Elgin joins Tom to dazzle us with perennial and annual color. 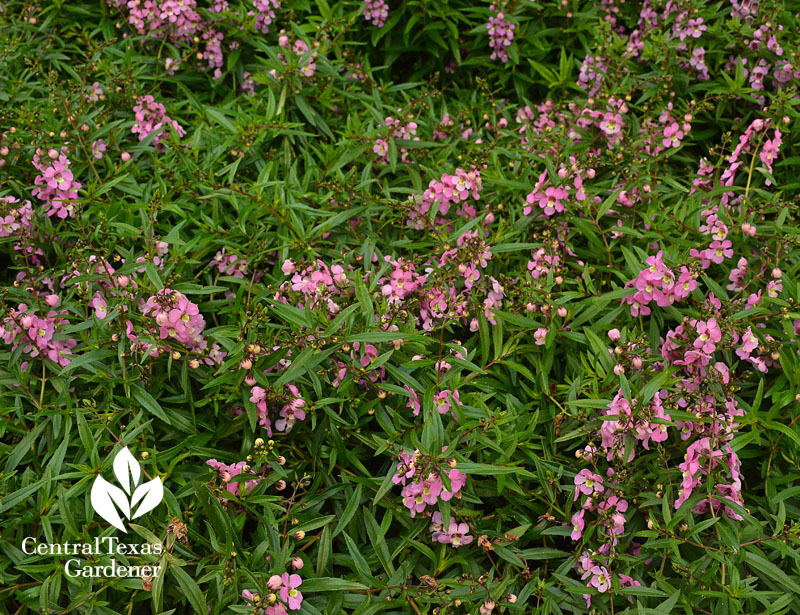 Replace worn out snapdragons with annual heat-lover Angelonia that attracts bees and butterflies to its high performance, low-care flowers in sun. Perfect for containers, too. 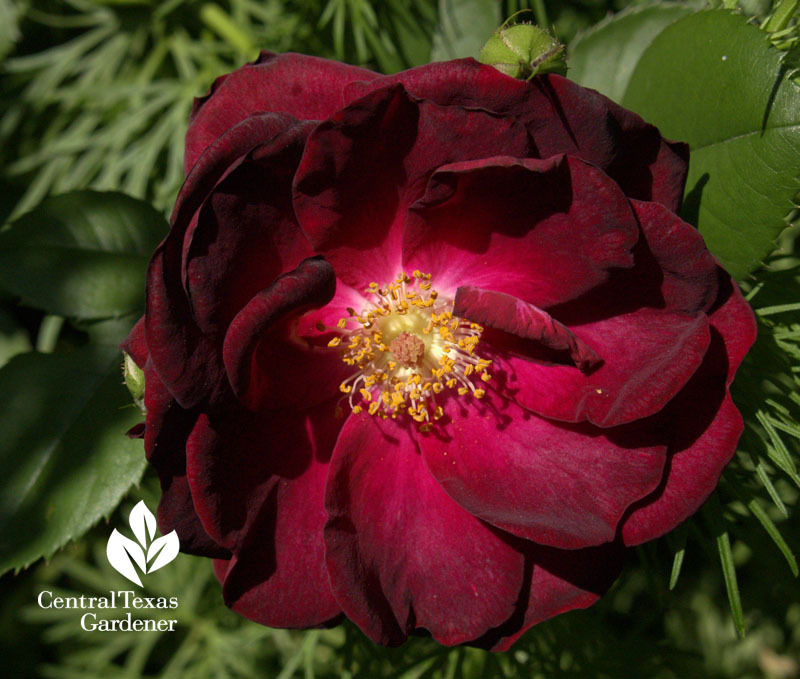 Double wow: this compact mounding Joseph’s Coat ‘Gold Threads’. 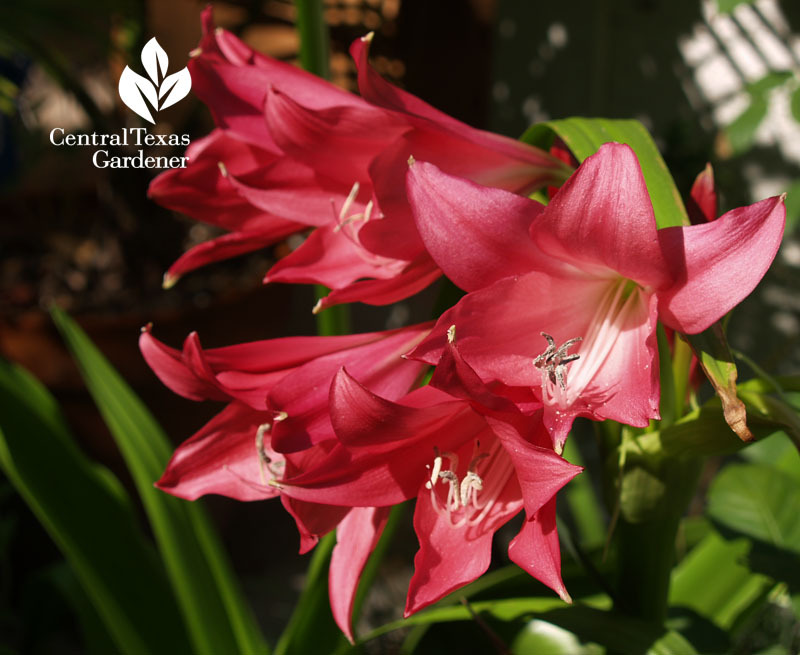 Can’t you just see this tucked into that hot spot or in a vibrant container? 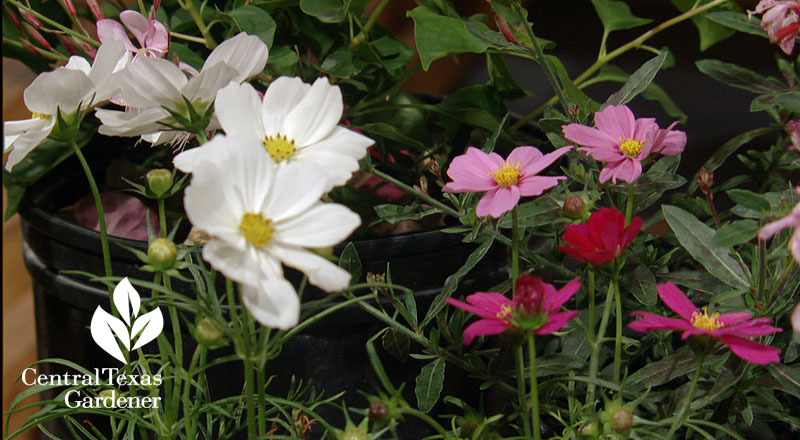 Plant cosmos from seeds or transplants to bring on our favorite pollinators, too. 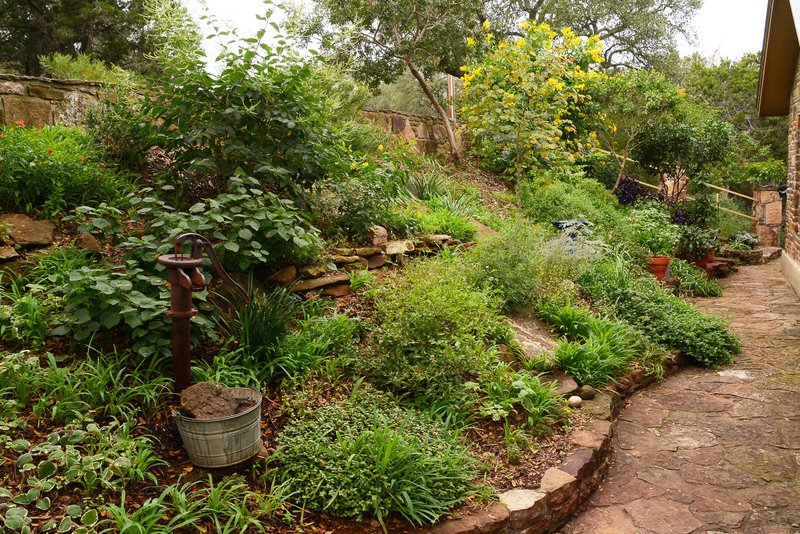 Marcus answers THE top question every year: how to keep hibiscus and bougainvillea blooming? 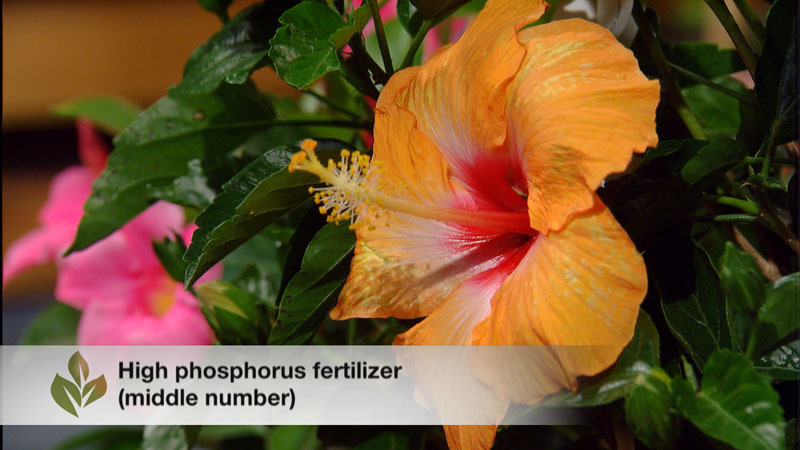 Hibiscus wants high phosphorous. For bougainvillea, give it high nitrogen every two weeks to start and monthly after that. Keep the water on low. 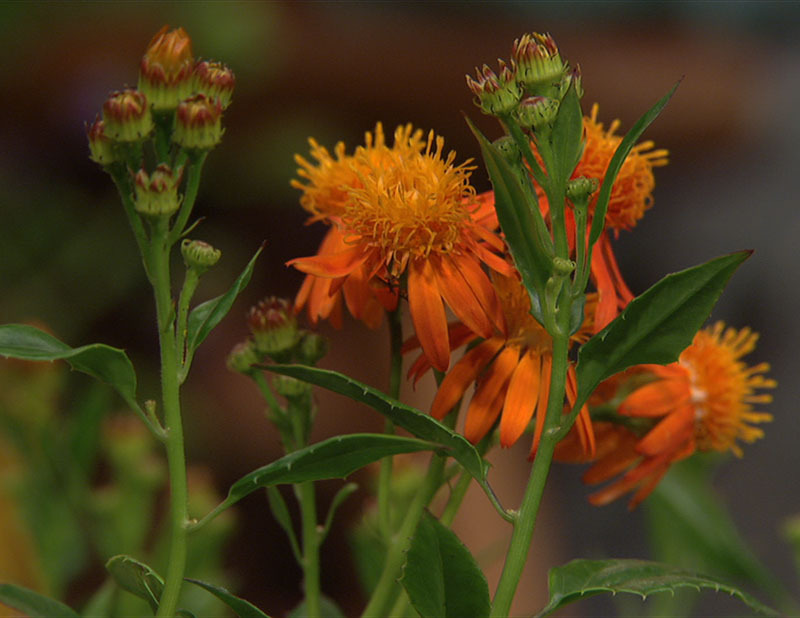 Grow up with Mexican flame vine. He has lots more, but here’s one of his darling container shade combos, designed by his daughter: Begonia, caladium, foxtail fern, torenia and up there in the left corner, pink Brazilian plume flower (Justicia carnea). 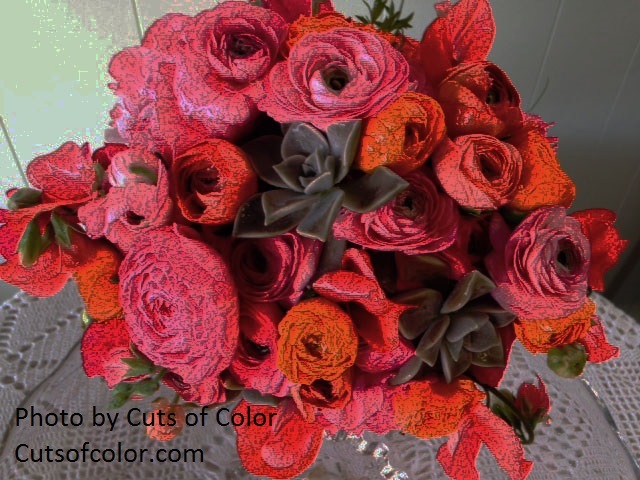 On tour, meet another family operation at Cuts of Color Flower Farm in Weimar. Rita Anders has switched seasons to guarantee fresh cut flowers and custom-made bouquets all summer, including weddings and special occasions like Mother’s Day. Sunflowers are just one of the few in her fresh-cut bouquets. She grows lots of succulents, too, that blend in beautifully with seasonal picks.